DOF’s core is made up of professionals who collectively bring many years of experience in their respective fields and who are dedicated to advancing DOF’s mission. Charlie Hammerman brings many years of involvement with initiatives for people with disabilities and significant experience in the financial markets. Prior to the creation of The DOF, Hammerman founded the Burton Blatt Institute at Syracuse University, an organization to advance civic, economic and social participation of persons with disabilities in a global society. In 2007 Hammerman was appointed Director of CDFI Initiatives at Syracuse University. Hammerman was a senior member of Private Executive Services, a division of Merrill Lynch’s Global Private Client Group. He also spent 4 years with Merrill Lynch’s Equity Capital markets division and 4 years in the Office of the General Counsel. Before Merrill Lynch, he was an Assistant US Attorney in New York and began his career as an associate at Morgan Lewis and Bockius. At Merrill Lynch. Hammerman spearheaded the creation of it’s “Disability Awareness Professional Network” in its world headquarters. As a result of his leadership, Merrill Lynch was recognized by Diversity Inc. magazine as the “number one company for employment of people with disabilities” in 2005 and 2006.Hammerman received his B.A. from Washington University in St. Louis and his JD from Fordham University in 1988. In her role at The Disability Opportunity Fund, Nanci oversees the Administrative day to day of the company. 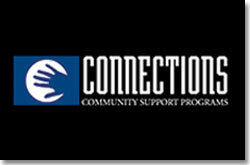 She also provides Technical Assistance to individuals and organizations on a variety of different issues. Currently she fields all requests that come in by email and/or phone. After receiving her Master’s in Vocational Rehabilitation Counseling from NYU, Nanci began her career at UJA’s Trades and Business School, doing short term evaluations. She then moved to do outreach in the New York City High Schools and alternative programs. Following, UJA, Nanci was at ICD, the International Center for the Disabled working within their Employment Services Division. She then ran their food services training and placement program as well as their summer program for youth. In 2000, Nanci was the first Vocational Rehabilitation Counselor hired by a Long Island public school to provide transition services; finding housing and educational placements for those young adults who were graduating or aging out of the school system. Claire Morduch is responsible for underwriting loan requests and conducting due diligence on all borrowers. Previously, Claire returned to nonprofit consulting after four and one-half years as Director of Finance and Administration at Connecticut Voices for Children. She specializes in financial analysis, business and strategic planning. Prior to that, she was with BWB Solutions for over fifteen years, most recently as Associate Partner. Claire’s responsibilities include (i) vetting initial applications (with Charlie and Nanci), (ii) underwriting loan requests for creditworthiness and viability, (iii) preparing the credit memo for the Loan Committee, and (iv) after loan approval, monitoring the preparation of closing documents and loan closings. As Finance Manager of the Disability Opportunity Fund, Marianne is responsible for the day to day financial and bookkeeping operations of the company, including the preparation of financial statements, the issuance of external and interim reports for various agencies and not-for-profit organizations, and the maintenance of regulatory compliance with banking and other financial institutions as well as local and state government. Her career started in the defense sector where she worked for several contractors in accounting and program office organizations, gaining experience in government procurement regulations, invoicing methods and compliance regulations. She is knowledgeable about court required accountings related to guardianships, wills and contributions/distributions and has successfully partnered with legal and public accounting firms in providing her services as an independent contractor. As treasurer for Wickers Sportswear, Marianne was instrumental in their becoming a debt free entity. She interfaced with banks regarding loan agreements, foreign currency exchanges and daily cash management and was responsible for that company’s accounting, financial reporting, tax and ERP system. Ms. D’Erario is a graduate of New York Institute of Technology with a degree in Accounting.